A surplus deal for the ages! Mon dieu! Count 'em. 6 Army Surplus Field Caps in woodland camo, courtesy of the French Military. Each has a crushable stitched bill and neck flaps to keep the sun off your neck. V-style crown. 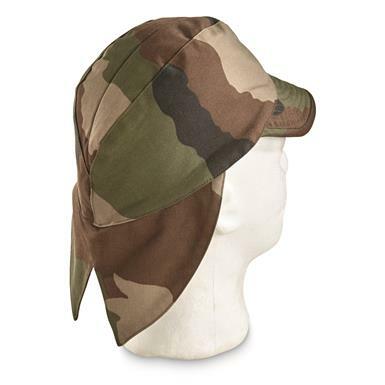 Ready to provide "head camo" and sun protection!